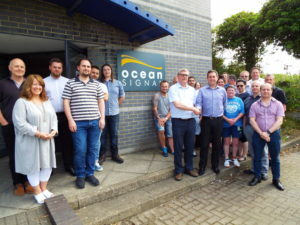 Ocean Signal Ltd has brought together one of the most highly experienced electronic engineering teams in the marine communications industry. Ocean Signal is owned by a global maritime company, Drew Marine and operates within the ACR group. This group has over 250 employees and 3 world class R&D centres. We are continually developing business opportunities with over 150 active global customers and are present in over 30 countries. Partnered with key organisations around the globe the group has been present in the Maritime, Aviation and Military markets for over 50 years. Through more than 10 Years of continued innovative design, development and testing Ocean Signal has developed and delivered a world class portfolio of products onto the market. 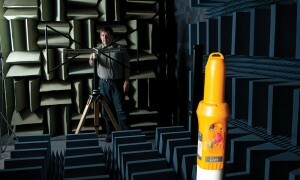 The portfolio of Ocean Signal products are designed to meet or exceed the technical requirements of the International Maritime Organisation (SOLAS), International Electrotechnical Commission standards, European Directives and Decisions, United States Coastguard standards as well as many other applicable national and international rules. Offering exceptional value and world class customer support, the Ocean Signal range of products provide Commercial Marine, Leisure Marine, Governmental/Military and Land/Recreational users the confidence that their equipment will work to, and beyond, their expectations when it is required most. Ocean Signal customers are its highest priority. Using the latest technologies available and paying meticulous attention to detail throughout the manufacturing process, Ocean Signal™ products offer the best in class and will provide the highest standards of communication, safety at sea; in conjunction with our key commitment of saving lives. Contact us at: Ocean Signal Ltd., Unit 4, Ocivan Way, Margate, Kent, CT9 4NN, United Kingdom.